Do you ever feel that your schedule is a bit off-kilter from the rest of the world? Well, you’re not alone. 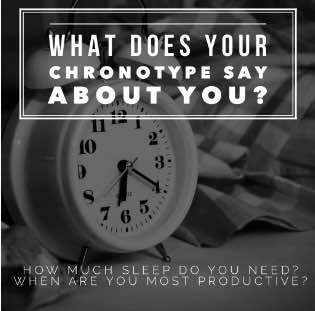 On this episode of Lady Tech Charmers, we take a note from our friends at My Biz Bestie and dive into the book The Power of When and it was written by sleep psychologist, Michael Breus to see what is our chronotype.